Ninja® 1000 ABS Mountain Motorsports- 49 Years of Great Customer Service! 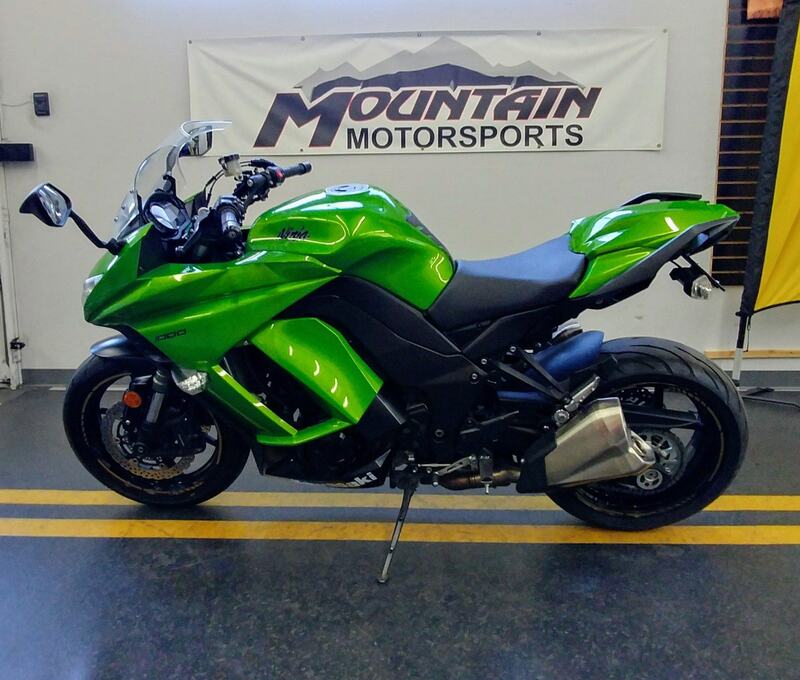 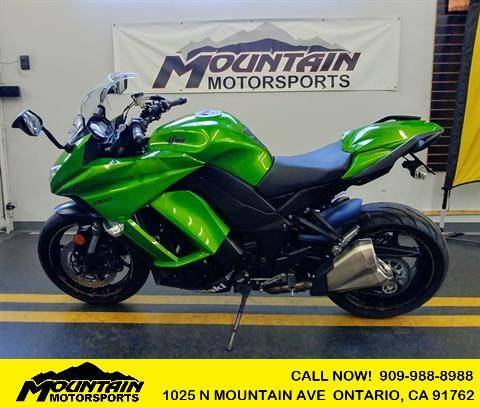 A Stylish and Comfortable Sportbike Upgraded for Today’s Rider Riders who want real world, open class performance need to look no further than the upgraded 2014 Kawasaki Ninja® 1000 ABS sportbike. 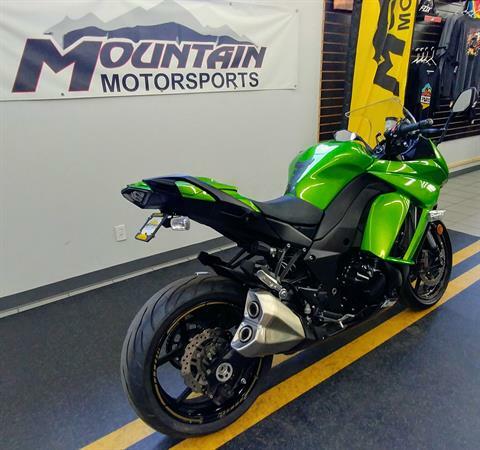 With an unmistakably aggressive profile that could only come from the Ninja family tree, this premium quality sportbike has the perfect combination of power, handling, looks, technology and rideability. 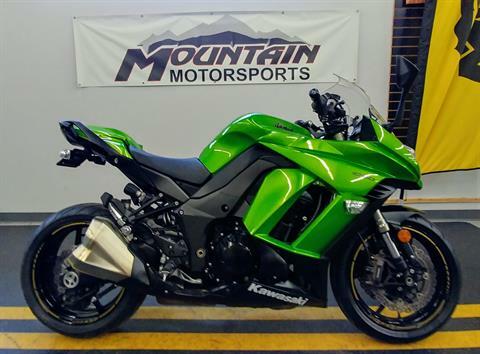 We have a large selection of used sport bikes including the Suzuki GSXR600, GSXR750, GSXR1000, the Honda CBR600RR and Honda CBR1000RR, the Kawasaki ZX6 and the ZX10 and don’t forget the Yamaha R6 and the R1. 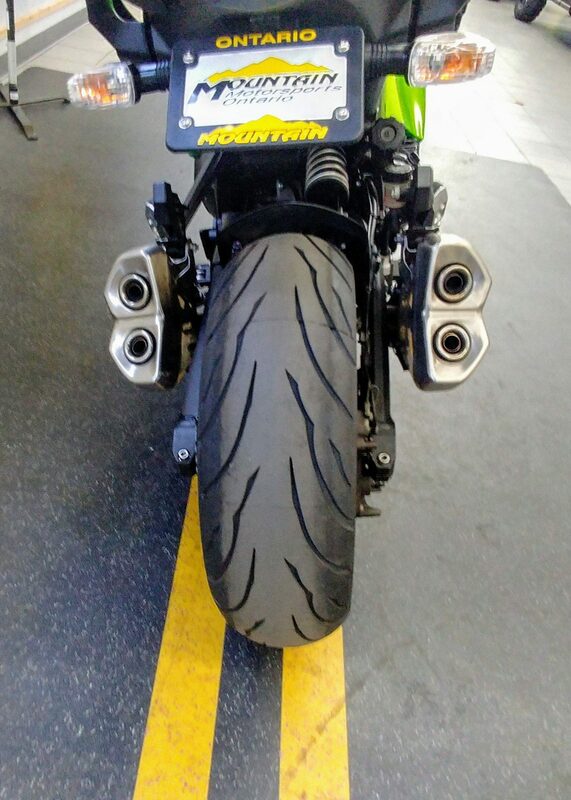 We have also used Ducatis and Triumphs. A low-battery mode maintains ABS function as best as possible when the battery charge is low. 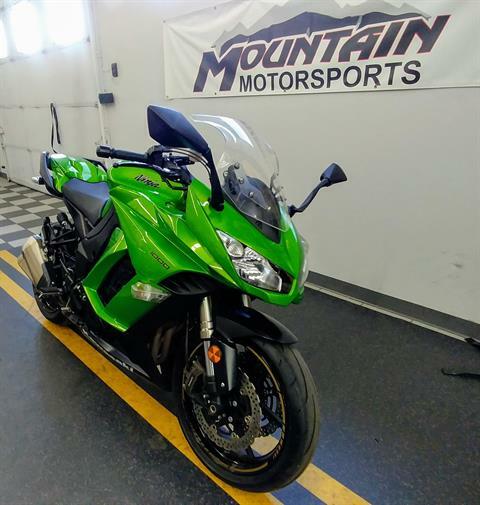 In this mode, ABS timing and pressure relief functions are maintained to help preserve brake effectiveness (although riders will notice that ABS operation is less smooth than in normal mode). The rear brake is a single-piston, pin-slide caliper gripping a 250 mm petal-type disc. 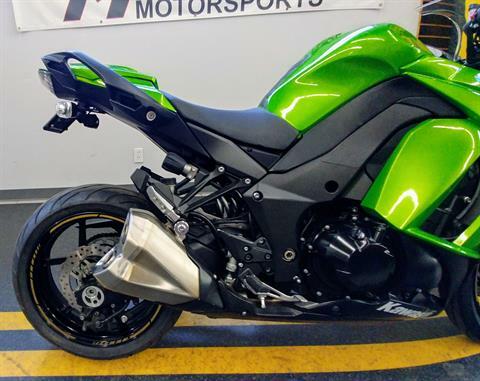 The caliper is mounted below the swingarm, and located by a torque rod. Windscreen has 3 available positions spanning approximately 20 degrees and ranging from sporty to maximum wind protection. 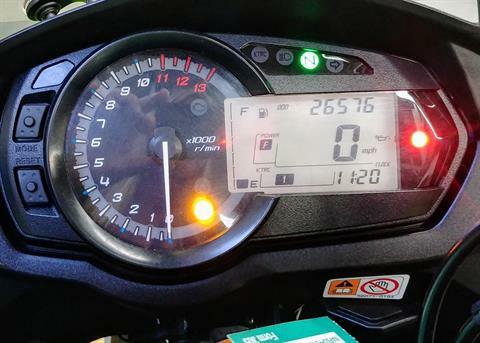 Adjustment can be done by hand (no tools required) by depressing the release button below the instrument panel. Windscreen adjustment should always be done with the bike stopped. 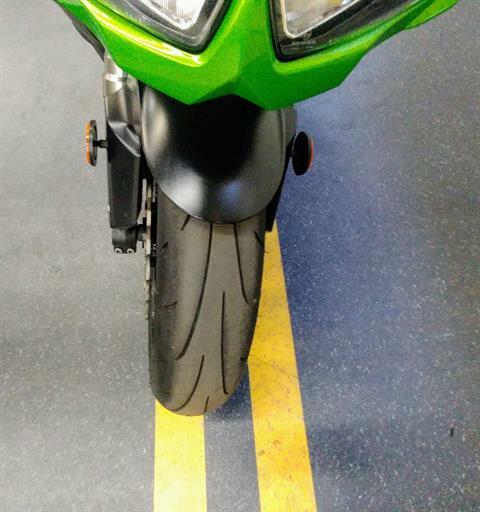 Windscreen Down: 46.1 in.Windscreen Up: 48.4 in.